Statistics collected by Finnish Business Angels Network ry (FiBAN) and Finnish Venture Capital Association ry (FVCA) show Finland blasting to another all-time high on investments made into Finnish startups and early stage growth companies in 2017. The most significant change occurred in the number of foreign investors setting their sights on the region, as foreign investments surged to 208M€, resulting in a yearly increase of 33 %. In 2017, Finnish startups and early stage growth companies raised the highest amount of funding to date, as the total financing figure raised hit 349 million euros. 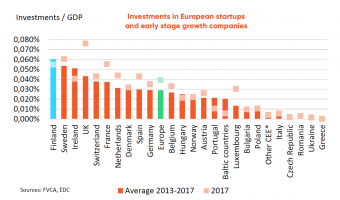 “This development goes both ways, since currently already 30 % of Finnish VC funds’ investments are allocated to companies outside of Finland – and the share is growing year by year. Many of the deals are made in syndicates of Finnish and international investors. It is obvious that the Finnish industry is getting increasingly better connected, and thus not only is financing being provided but also necessary knowledge is transferred through these spreading networks,” comments Pia Santavirta, the Managing Director of Finnish Venture Capital Association. Another investor characteristic developing in the region mirrors the maturation of the ecosystem, as there is increasing selectivity in regard to investment targets. This selectivity, alongside the active support the companies receive post-investment, is exemplified by the amount of VC write-offs which have declined from 40% in 2012 to only 20% in 2017. For the business angels, higher selectivity and professionalization of activities has resulted in enhanced risk management and portfolio diversification – even through new funding channels. “Newer investment channels enable business angels to do passive investments beside their active ones. As the angels’ time resources are limited, they will have more time to focus on effectively speeding up their active investments,” notes Reidar Wasenius, Managing Director of FiBAN. The VC funds’ investors in turn are showing growing confidence towards Finnish VCs’ capabilities in building growth with their portfolio companies and bringing returns for limited partners. 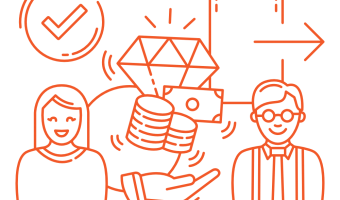 The amount of new funds raised by Finnish VC firms reached another record high since 2008, as they raised 169M€ of new funds used to invest in startups and early stage growth companies. Similarly, as per the development seen in the US and the rest of Europe, the fastest growing stage in Finland is the seed stage. 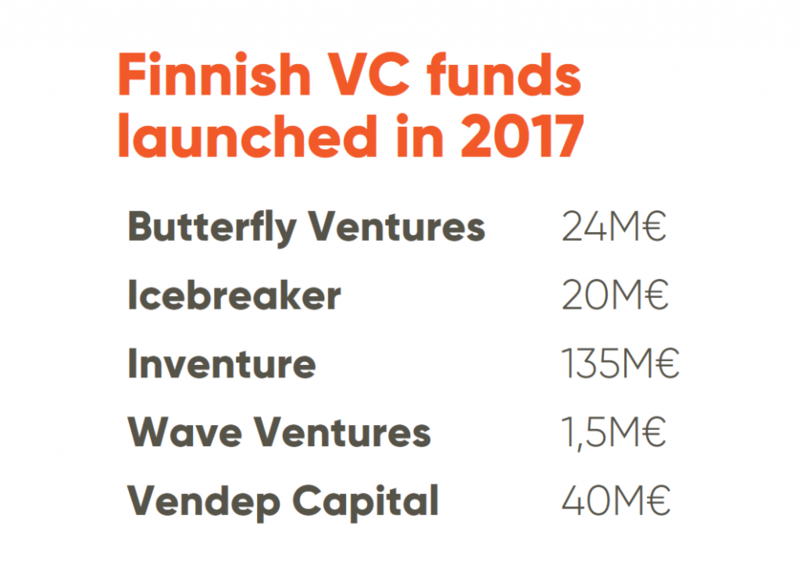 “While Finnish startups are able to raise over 10M€ financing rounds more frequently than before, and some record-sized VC funds such as Inventure Fund III at 135M€ were launched in 2017, there is still space in the market for players capable of leading substantial, international financing rounds from stage A onwards,” Santavirta says. “Being known for our world-class gaming industry, research-based deep tech cases, and initiatives such as Europe’s biggest tech event Slush and the Nordics biggest startup hub Maria 01, the Finnish startup ecosystem can be seen as one of the most active in the Nordics and Europe, and the positive development should only continue in the upcoming years,” summarizes Wasenius. 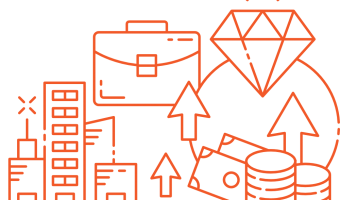 Typically an active and professional business angel uses 10 hours per month for a portfolio company (https://www.fiban.org/news/the-profitability-of-business-angel-investment). Finnish Venture Capital Association (FVCA) promotes the interests of venture capital and private equity investors and their positive impact on growth companies and the national economy. Most Finnish private equity investors are members of the association. Additional information: www.fvca.fi. Finnish Venture Capital Association – Building Growth. Finnish Business Angels Network (FiBAN) is a Finnish, non-profit association inspiring private startup investing. The network consists of over 650 approved investor members actively seeking new growth companies. FiBAN is a member of the European Business Angels Network (EBAN) and was chosen as the Business Angel Network of the Year in 2012 and 2014. The President of the Republic of Finland awarded the Presidential Internationalization Award 2017 to FiBAN. Additional information: www.fiban.org.